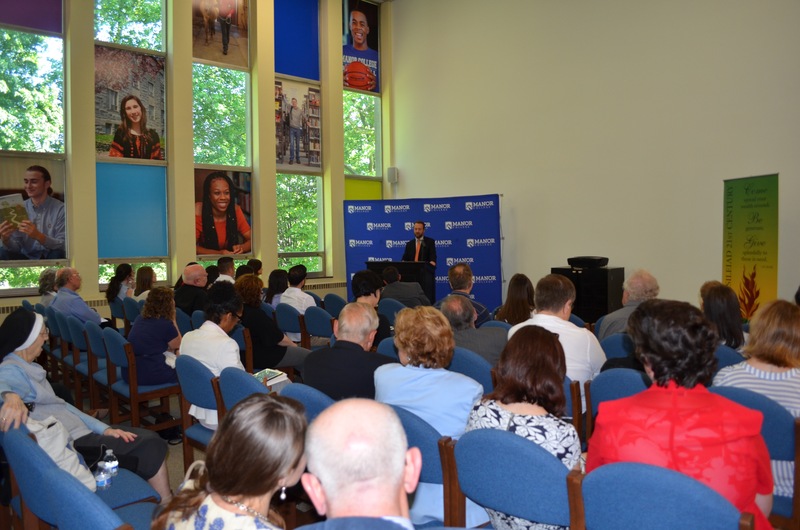 Manor College welcomed Kyle Parker, Executive Director of the Helsinki Commission, on May 24 as the featured speaker for the College’s most recent dialogue on ending Russia’s War in Ukraine. About 60 members of the community were in attendance at the dialogue. With the dialogue centered around the topic of war in Ukraine, Parker addressed several important issues. A deadly war, over 10,000 people have been killed and over one million have been displaced, according to Parker. Parker commented that the current issue with Minsk is preventing Ukraine from taking measures to prevent itself. Parker believes that the United States needs to move beyond Minsk and focus on Ukraine. The dialogue with Kyle Parker created a great conversation and shed light on important issues that are currently happening in Ukraine. The College holds these dialogues several times throughout the year in order to raise awareness of issues that are going on in Ukraine.